Use your Paranormal Crime Investigation skills to solve a string of bizarre murders plaguing the city of New Orleans and stop an ancient magical cult from summoning their monstrous snake god. Called in by Louisiana's PCI central command to investigate a murder using dark magic rituals, you quickly discover the strange and worrying recent happenings in the city are all connected to a strange and ancient cult, the Brotherhood of the Crescent Snake. 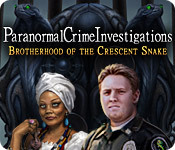 Paranormal Crime Investigations: Brotherhood of the Crescent Snake is rated 3.5 out of 5 by 20. Rated 5 out of 5 by readingrattler from The Right Combination of Fun and Challenge I found this game interesting and enjoyable. The play is not too easy, but it kept me interested until the end. Would recommend it, especially if you like the paranormal/voodoo/etc type HOGs. Rated 5 out of 5 by Tessa1111 from Best Game on Big Fish Loads of various puzzles including Hidden Object, beautiful layout and great story line...Play this and enjoy. Rated 5 out of 5 by davidsgurl79 from excellent i loved it. It was very detailed and very fun. Rated 5 out of 5 by flyinginsect_201 from Very Cryptic! Something to make a person grab bag of candy or pad and pen to keep track of all the clues. I have say it had me screaming no in some areas...next time heads up in some areas...it was very dark! Little too creepy. Rated 4 out of 5 by Heather_G from If you're considering buying the CE... I always like to know what you get for the extra money you pay for a collector's edition of a game, so I thought I'd add a little info. The bonus chapter is good, and adds about an hour to an already decent length game. The music is fine for the game, but not something you'd want to listen to on its own, so the soundtrack doesn't add much. 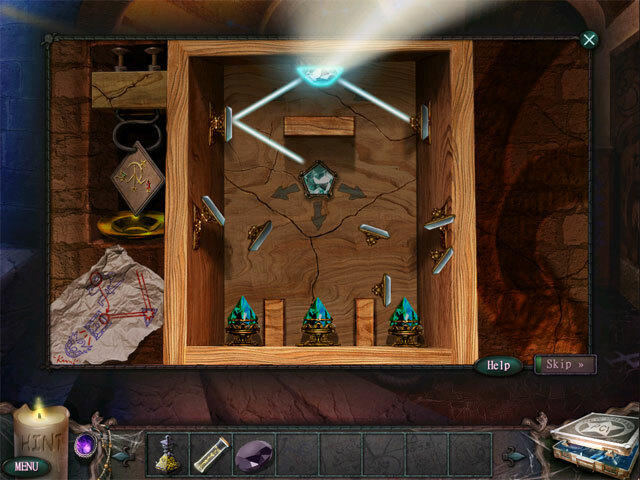 The minigames, which you can replay in the CE, are too easy to want to play again. The wallpapers are fine, but too depressing to want to use as my desktop. I only needed the walkthrough once, and could have found the info I needed online. So, in short, buy the CE if you want the extra chapter to play, but probably not worth it for the other extras. Rated 4 out of 5 by orijojo from Great Game This is a good game, very good in fact. Unfortunately it starts off so slowly. I’m amazed anyone would buy it after just a 1 hour demo, but don’t be too hasty with this game, it develops very well. I really struggled through the first hour, the hidden object scenes were murky and difficult to navigate, the slow screen changes were annoying and the initial game play was boring. But, but, but, once I understood the game play, I was completely enthralled and did not stop playing until the game ended. 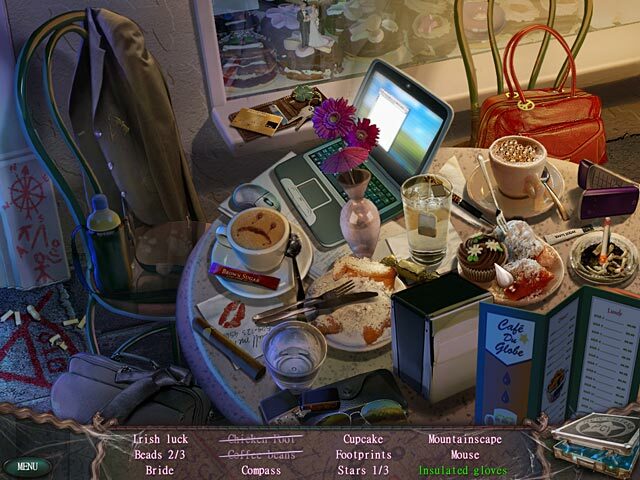 The Hidden Object scenes seemed to become clearer, the slow screen changes no longer bothered me and I was anything but bored. I played in expert mode and had to use the walkthrough twice, so the game was challenging. I used the PCI (Electronic Manual) and map frequently to keep abreast of things, personally I enjoy reading the dialogue, but if you don’t like reading you can just focus on the words highlighted in red, their the ones pertinent to the plot. Yep! This game is good, loved it. Rated 4 out of 5 by centauri272 from Not bad! Good graphics. 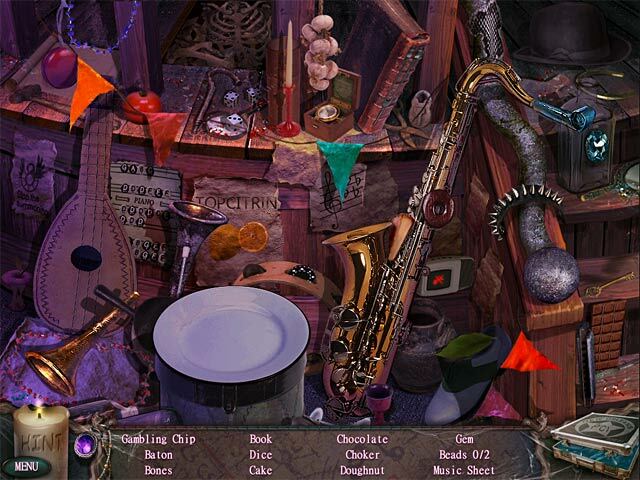 HOS clear, the objects are easy to find. Mini-games quite easy. I had the sound off, so I can't rate it. The storyline is interesting and I played without breaks. This game is rather on the short side, 2.5 to 3 hours. But I still found it interesting as a small break from more challenging games. Rated 4 out of 5 by Rescue_helo from Mysterious and compelling Having already reviewed the game in the Collector's Edition section, there is no point in re-posting it here in its entirety. Please refer to the section above mentioned if you wish more details. But to sum it all up: very well crafted graphics, artistic locations, good puzzles, fair challenge, plenty of things to do, friendly hints, mildly creepy atmosphere that grows on you. One main snag: HO Scenes are cluttered with certain items hardly identifiable. I recommended the game after playing the demo, with the intent of adding it to my collection. For lack of a complete overview of the CE, since it only offers the first Chapter, I am hesitating between that CE and the SE. If the CE has a bonus chapter that is a good follow-up and/or a better conclusion to the story, then I would say it is worth getting. Else the SE will be sufficient. Rated 4 out of 5 by JustTheFacts from Good All-Rounder Not going to set the world on fire, but this is an enjoyable game to play. Its HO scenes were good and easy without being a total bore. Again, graphics good not great. Their bright colours and modern objects were a pleasant change from the usual dreary game. I really liked the music. Story was easy to follow but unusual despite the just-now-everywhere setting in New Orleans Mardi Gras, voodoo added. I also enjoyed having a character to work with through the game. Somehow, it seems to make it more involving. The ending was satisfying, the investigation was completed, but another one was about to start. Left the possibility of a sequel without leaving you hanging and frustrated. I am sure I will be playing this often.